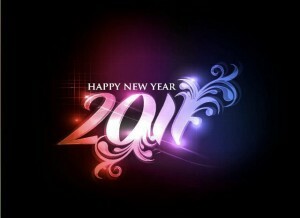 CircuitsToday.com is wishing you all a prospserous and happy new year. May this new year make your dreams come true, may you all prosper in your studies, profession, research and other projects. For new year we have a small gift to all our readers 🙂 We are going to add Forums to our website. We are working on this now and hope to make Forum live and active within a few days. We hope this Forum will serve its purpose of catering to the Electronics community worldwide with valuable information, clearing doubts, getting assistance from electronics engineers, professionals, enthusiasts and students all across the world. To make CircuitsToday competant with the extra traffic and bandwidth requirements of web hosting, we have already moved to a Virtual Private Server of Hostgator hosting company. So CircuitsToday will load faster than ever before 🙂 Some of you might have already experienced this. We aim to load this website and make it available to you in less than 4 seconds (some more works remaining, expect this fast response within a week). CircuitsToday enjoys readership of 2,000,00+ unique visitors every month from 180+ countries, where major traffic comes from India,USA & Europe. Has an E-mail subscription of 7200+ via Feedburner. Has got nearly 2000 Fans on Facebook. ….and we strive to achieve more.